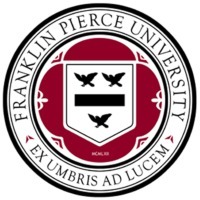 Review: Franklin Pierce University is a small, private, regionally-accredited university in rural Rindge, New Hampshire, founded in 1962, combining a liberal arts foundation with coursework for professional preparation. The institutional mission focuses on preparing citizens and leaders of conscience for a new century who make significant contributions to their professions and communities whether their aspirations are global or local. The university has an enrollment of 1,500 students, and is located a few miles from Mount Monadnock, overlooking Pearly Pond. The area was bought in 1854 by sea captain Asa Brewer. Rindge tradition has it that the estate was a stop in the Underground Railroad. In the past the land has also been owned by a wealthy horse enthusiast, the Boy Scouts of America, and silent film actress Alma Monaco. The campus today covers approximately 1,200 acres (4.9 km2). Franklin Pierce University gained university status in 2007 and is accredited by the New England Association of Schools and Colleges (NEASC). The college at Rindge houses three institutes: Marlin Fitzwater Center for Communication-named for Marlin Fitzwater, White House Press Secretary under Ronald Reagan and George H.W. Bush Monadnock Institute of Nature, Place, and Culture New England Center for Civic Life The university also operates Graduate & Professional Studies centers in Concord, Lebanon, Manchester, and Portsmouth, New Hampshire, as well as Goodyear, Arizona. The university closed its Keene, New Hampshire campus in 2009. Many courses are offered online. The President of Franklin Pierce University is Dr. James Birge, having served as the university's fourth president since June 2009. Previously, Dr. George J. Hagerty was President for 14 years. 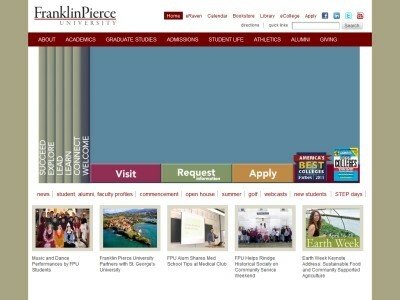 Location & access map for "Franklin Pierce University"